Gourmet Food There are 9 products. Duck Confit La Belle Chaurienne Two Portion TinsHigh quality multi award winning tins of duck confit from Castelnaudary in South West France. 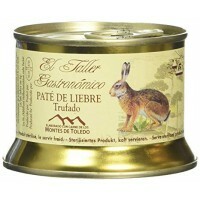 Each tin contains two duck legs, the meat is tender and tastes delicious and very practical to serve when entertaining. 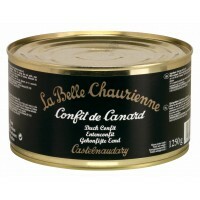 High quality multi award winning tins of duck confit from Castelnaudary in South West France. Each tin contains four duck legs, the meat is tender and tastes delicious and very practical to serve when entertaining. These are long thin green chillies with a sweet-spicy taste, a speciality of Navarra and the Basque Country. They have been lightly pickled, and once rinsed are perfect with a plate of Jamon Serrano or other tapas dishes; as an appetiser with marinated olives, or try with bonito tuna, anchovies or smoked fish. A delicious classic chutney with the addition of Twilight Beacons ale. delicious with cheese, cold meats or on its own with crusty bread. Miranda's Red Onion Marmalade is a chef's favourite and a must for the BBQ; a peppery finish with a balsamic vinegar. Goose Rillettes From StrasbourgSome of the best goose rillettes we have tried prepared by Edouard Artzner in Strasbourg. Make a tasty and easy to prepare starter for two served on some lightly toasted bread. French Duck RillettesOutstanding duck rillettes prepared by Edouard Artzner in Strasbourg. Make a tasty and easy to prepare cold starter for two served on some lightly toasted bread served with a side green salad. Also popular to include in French food hampers.